The Hollywood Syndicate has two runners this upcoming weekend – 19th and 20th May. 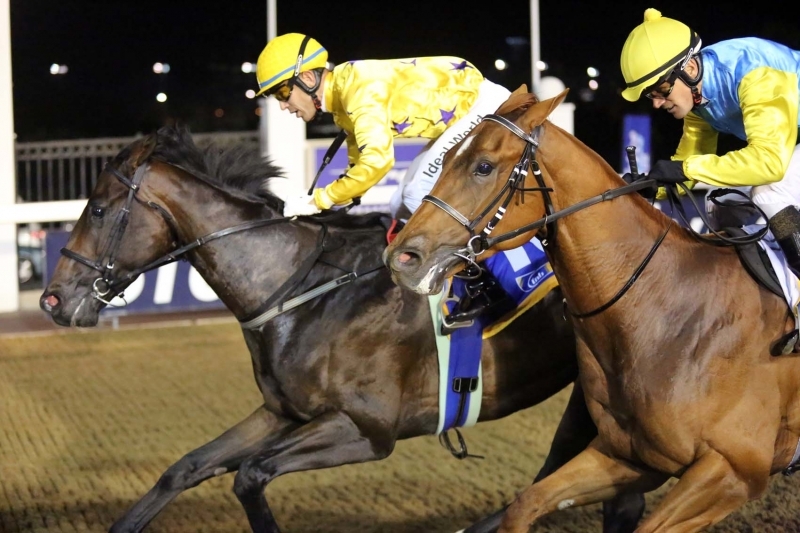 James Everett gives us the low down on Honest Prince and Deago Deluxe as they race at Greyville and Turffontein respectively. • Race 3 (1200m-Poly) @ 13:15 – HONEST PRINCE. After finishing close behind Roy’s Taxi last time out, Roy’s Taxi came out and won again on Friday- confirming the formline. He has drawn well at 2 and over the same course and distance, must have a big shout. • Race 1 (1000m) @ 12:50 – DEAGO DELUXE. First run in the province after arriving from PE. He hasn’t run since early December, so will in all likelihood need this outing. He has placed 6 times out of 7 runs, so has been a consistent earner. Lets see how he goes. James will speak to trainers Alyson Wright and Clinton Binda this Thursday to get their comments. ← Sunny Bill Du-Toy gets his second win!